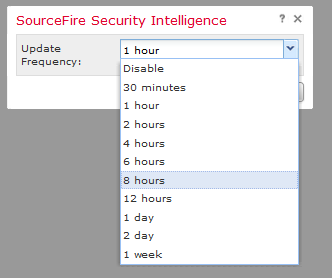 On July 2nd last year, we talked about Sourcefire Security Intelligence. Briefly, what it does is making use of huge collection of known bad IPs and blocking them before our users access them. In this collection we can find IPs categorized as Bots, Malware, Tor, C2, Phishing and so on. Why is this such a good idea? Well, if we know that some IP is malicious, we don’t bother wasting our time and resources in figuring out what is going on – we simply drop all communication to that IP. Cisco is maintaining this database of known bad IPs and we should make sure we update as often as possible. Ok, that is a recap from the SI blog. Now we are going to talk about similar functionality, but on the DNS level. What does this mean? Well, Network Security Intelligence knows about bad IPs and block those. But DNS Security Intelligence does the same but instead of knowing about bad IPs and block them, it knows about bad names and block these names. We can see how easy it is to protect our home or small office from malicious content with just a few clicks and do that for free. Yes, for free! We need to register to OpenDNS and enlist our public IP address. If it is dynamic, there is a client that refreshes this entry when the address changes. The only thing left is making sure that our router serves OpenDNS DNS addresses to our clients, or clients are manually set to use those addresses. Now when a client resolves a name to an IP address, if the request contains malicious or otherwise forbidden name, the OpenDNS will return the IP address of one of its own web servers and we will be presented with a block page. How cute this is. Third one is the list of names we don’t want to be blocked. Perhaps Cisco put something in dynamic list that we did not want to block. The rules have orders by which they get applied. So, white list is evaluated first, then black list and finally the dynamic feed. We could easily miss the option for logging DNS blocking events, that’s why I marked the log options icon. We don’t have to reapply any policies when adding something to the list, but we have to, when removing an entry. To answer the question do we need DNS SI besides IP SI? Well, perhaps. It is possible that the IP address is not known at the time or is changing often, but the DNS name remains the same. So I guess this is another security tool under our security tool belt. The URL Security Intelligence uses the same principle, but instead of working with IPs or DNS names, it uses URL links instead. This entry was posted in Cisco, FirePOWER, FireSight, IPS, Security, Sourcefire. Bookmark the permalink. thanks again for this great tutorial! just enabled this!… Please keep ’em coming! Keep in mind that migrating to FTD will force you switch to Smart Licensing ( according to documentation ) so before you do it make sure you have properly setup Smart Licensing. I won’t migrate for a long time… until they get all features from ASA OS to FTD. I always look forward to your posts and I always learn something (more like many things). 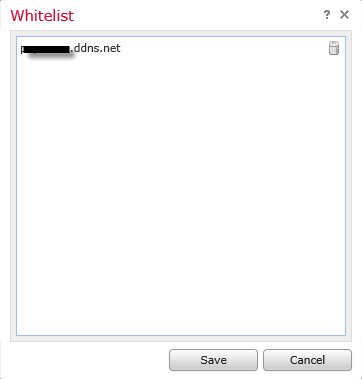 This time around, I learned that the DNS feed list is not configured by default. Seems like a glaring omission at Cisco’s part but I suppose there would be some upset admins. Thanks again and I look forward to your next post! my problem is that domains on my list blocked but no ip returned to clients. I am expecting when the clients request domains on my list the ip of sinkhole returned to them. also on my default access control policy on Security Intelligence tab choose syslog as Action Alerts but on Action Alerts page indicates that alert is Not used by any policy and I receieve no syslog when client request blocked domain name. anything ending in .pw Cisco don’t seem to approve of, for eg http://www.wc.pw. Do you know what “DNS Response” category blocks? I can’t find a description in the documentation. witһ your views οn thіs website.